The year 2018 set a record in Northern Virginia for being the wettest year since National Weather Service records were kept. As of late December, a record 66.28 inches of rain fell, breaking the previous record of 61.33 inches set back in 1889. All this water has led to a myriad of problems, including those for property owners who thought their insurance would cover the water damage. What you need to know is what’s really covered – or not. Unless you have a special policy coverage, your normal homeowner’s insurance generally covers home levels that are at ground level or above. Because it is underground, your basement is not considered the first floor. This is most often not covered by water damage insurance – even flood insurance – and the homeowner must pay out of pocket for repairs from water damage. And this can be very expensive. With one client, their basement was entirely underground and the waterproofing company was required to excavate the entire perimeter around the foundation in order to access the walls, waterproof them, install a new drainage system, add gravel, backfill and landscape. The bill came to more than $24,000. Water damage insurance coverage can also vary by the source of the water damage. Was it caused by extended neglect or flood? Homeowner policies do not cover these causes. There is also a fine distinction between flooding and water damage. 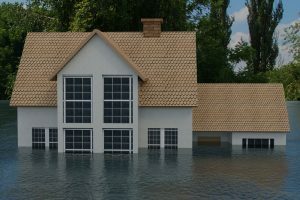 What is considered “water damage” often involves damage to your home before it hits the outside ground, like internal plumbing failures, a leaky roof, or a faulty sump pump. Since rainwater flooding hits the ground first, it is exempt from coverage. Your basement is where you might see most of the ravages of water damage. Water can seep through or permeate the wall, or flood the space. Water damage can also occur from both natural and man-made or manufactured failures such as plumbing leaks, burst pipes, overflowing sinks or toilets, or malfunctioning appliances. Natural sources of water damage come from high levels of moisture from humidity, rain or groundwater. Related: Mold and water damage: are they covered by home insurance? The most obvious cause of water damage is flooding. As a result, both walls and floors can show signs that include discoloration, warping or bowing, a spongy feel, or buildup of a substance like mold or efflorescence. Water damage insurance may cover this in some circumstances. Excessive moisture can cause cracks in floors, walls or foundations. Check around the seals in windows and doors where leaks may occur. Mold can also be detected by smell. If you notice a strong damp and musty smell it is possibly mold or mildew buildup. Be warned that some molds may not have an odor; so look for a dark green, black or white powdery buildup on organic surfaces like wood, walls, and other materials. A client called three waterproofing companies to fix their foundation walls that were wet from all the water—2 said they could not take on any more clients, and the third said that it would be several months before they could get to our project. They were reporting more than 400 calls a week! Först Consulting Group can help property owners with consultations on property issues, professional defect inspections, highly-detailed reporting, and litigation support as a construction expert witness. If you have water damage, let us help you choose the right contractor, negotiate the contract, aid in determining fair costs, keep the project on schedule, and inspect the work along the way. This will ensure that you are not taken advantage of either by your insurance company or your contractor. Contact Först Consulting Group today to see how we can help. Working with Pressure-Treated Lumber →← Surprise Charge From Your Contractor? What To Do Next.